I recently gave a new client in Sonoma County a big discount on his chapter 7 bankruptcy. Like so many clients he was living paycheck-to-paycheck. He didn’t have a lot of money but he needed to file bankruptcy right away. He had been calling bankruptcy attorneys for months trying to find someone who could work with him on the price. After speaking with him I determined that his case was simple; I didn’t mind giving him a discount since a few hundred dollars didn’t mean that much to me in comparison to how much filing bankruptcy would mean to him. Before the client could come into the office another bankruptcy attorney he had previously contacted called him back. This bankruptcy attorney has a reputation for charging a lot, even by Sonoma County standards. The client politely informed this high-priced attorney that he had found another bankruptcy attorney who was only charging $***. Of course, this figure was only a fraction of what the high-priced attorney charges. The high-priced attorney proceeded to give the client an indication that a cheap bankruptcy attorney would ruin the case. The client disagreed, signed my representation agreement and is now securing debt relief at a reasonable price. This situation raises a good question: are cheap bankruptcy attorneys bad bankruptcy attorneys? In the mind of the high-priced attorney price is indicative of quality. Bankruptcy attorneys charge more because they have the skill to command higher fees. Cheap bankruptcy attorneys charge less because they do not have the skill to command higher fees. Price and skill are correlated. In my opinion the correlation between price and skill is weak. For one, clients will only pay more for skill if they have knowledge or belief of the attorney’s skill. In practice, clients have no way to gauge skill during a free consultation, and are often lured in to paying too much for chapter 7 bankruptcy because of a belief in the attorney’s skill as represented by factors that are not indicative of skill such as a nice office, neat appearance, fine suit, confident demeanor, likable persona, and above all else, confidence in the advice given, whether or not said advice is actually correct. I know of some cheap bankruptcy attorneys who are very skilled. They have low overhead, years of experience in consumer bankruptcy law, but also receive revenue from other practice areas. They can charge less than the high-priced attorney, not because they lack the skill to command higher fees, but because they don’t need as much money to keep the lights on. They don’t pay for advertising so most of the fee is profit. They aren’t trying to make a living on chapter 7 bankruptcy fees alone, they also earn money from estate planning, family law, etc. They are solo practitioners who don’t need to pay staff or maintain huge offices. They make a decent living, but they are not millionaires. 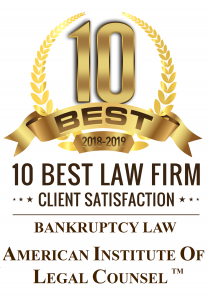 For the majority of individuals contemplating chapter 7 bankruptcy a cheap yet skilled bankruptcy attorney is the cost-effective option. These cheap bankruptcy attorneys will draft the same petition and eliminate the same amount of debt as expensive bankruptcy lawyers, not because they necessary have the same skill, but because they have enough skill to secure the discharge warranted by the facts of a simple no-asset chapter 7 bankruptcy.